Luys Milán (also known as Luis de Milán) lived in the 16th century between 1500 - 1561. He specialised in the spanish guitar-like instrument called the vihuela, and indeed was the first to publish music for the vihuela de mano (vihuela plucked with the fingers). His publications are notable in that they contain some of the first tempo indications found in sheet music history. The first printing press on the Iberian peninsula was located in Valencia in 1473 and undoubtably this early adopting of the new technology influenced Milán in his motivation to publish his works. Milán probably lived all his life in Valencia, though details are sketchy at best. What is known is that he was employed by the ducal court until 1538, he published a book of parlor games with music entitled El juego de mandar in 1535. His second book was published a year later Libro de música de vihuela de mano intitulado El maestro and is his most important book of music. The book was written for the Vihuela and dedicated to King John III of Portugal. The book features six villancicos (a style of popular song) written in Portuguese, this along with the royal dedication suggest that Luys Milán visited this Iberian country. wild animals by playing a vihuela. In Libro de música de vihuela de mano intitulado El maestro Milán published the first collection of vihuela music in history. It appears to have been intended as a book for students, as the music is presented in grades of increasing difficulty and complexity. The publication contains more than forty fantasias, six pavans, twelve villancicos plus music set to Italian sonnets known as "sonetos". There is a mixture of works: with some in a solo setting, while others are for voice accompanied by vihuela. 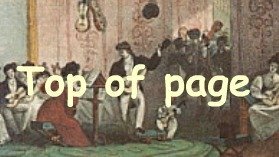 The compositions vary in style from simple homophony to virtuosic passage-work - unusually the book contains alternate passages who wish to avoid the more virtuosic parts. There are verbal tempo indications such as "ni muy apriessa ni muy a espacio sino con un compás bien mesurado" which means "neither too quickly nor too slowly, but with a moderate measure". 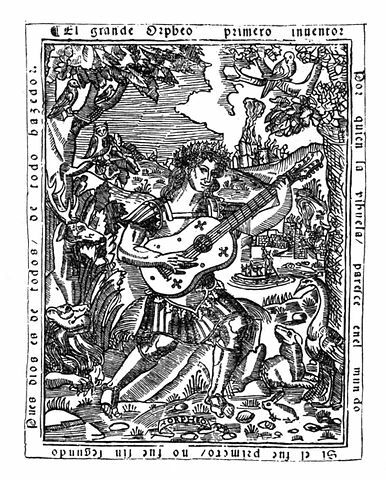 Luys Milán dedicated his vihuela book to King John III of Portugal. 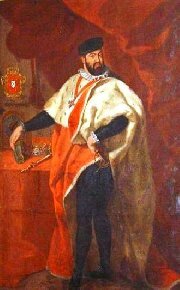 El cortesano was his final publication (1561) and describes a vivid picture of life in the Valencian ducal court. 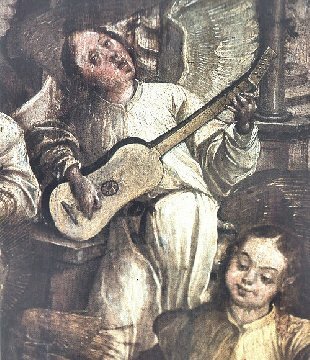 He was entrusted with the entertainment of the ladies of the court, and as such provided story-telling, singing and songs (to the accompaniment of the vihuela). Milán also worte a book of court games called "Libro de motes de Damas y Caballeros" in 1535.